"You are not asked to do all the good in the world, just the bit that lies within your power." 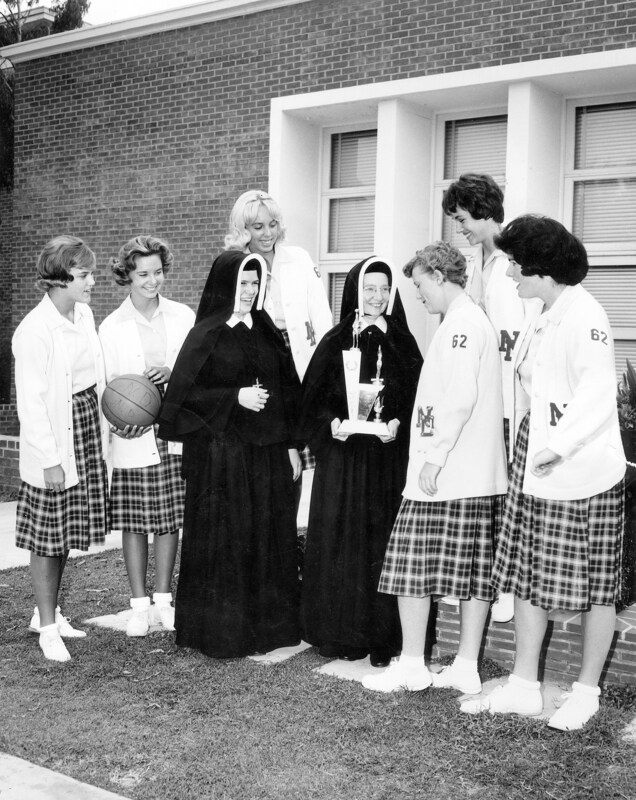 The story of Notre Dame Academy cannot be told without telling the story of the Sisters of Notre Dame -- their mission, charism, and history. “Charism” is a special word. It encompasses grace given by God, as well as the living way of experiencing God. It is an expression of God’s continuous care for creation, as well as the fire which transforms those who touch it. For the Sisters of Notre Dame, that charism impels their mission to let God’s goodness and provident care work through them to touch the lives of all to whom they minister. Every student at NDA knows and loves the founding story. In Prussia in the mid-1800’s, Hilligonde Wolbring and her friend and fellow teacher Elisabeth Kuhling provided a caring home where neglected children could live. 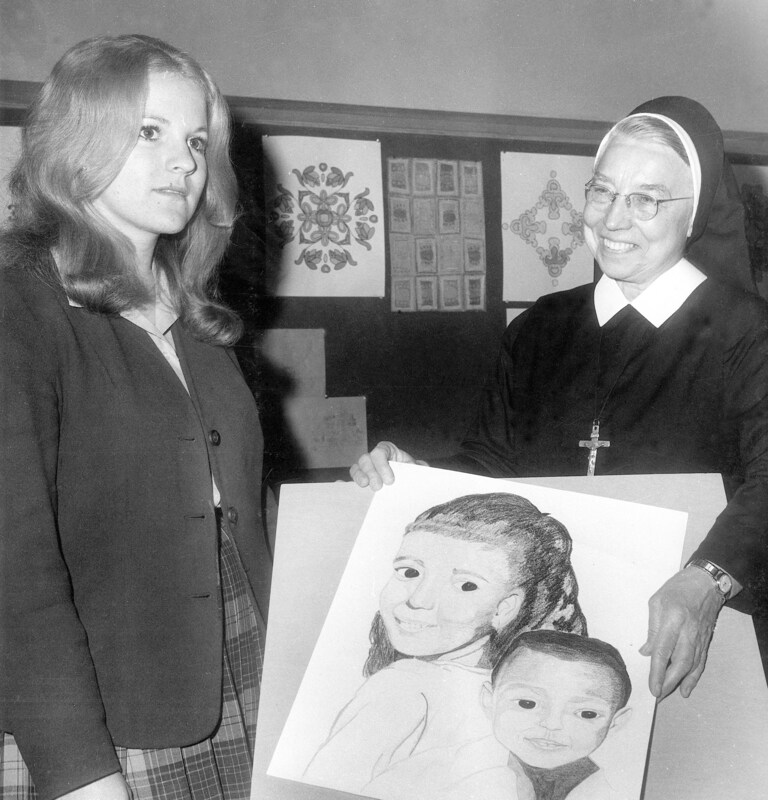 The two women continued their mission as members of a religious community formed in the spirit of St. Julie Billiart. Hilligonde became Sister Maria Aloysia, the foundress of the congregation, and Elisabeth became Sister Maria Ignatia. The new religious congregation, Sisters of Notre Dame of Coesfeld, was born of the deep experience of God’s goodness and provident care. Forced to leave Prussia due to religious persecution, the Superior General and eight Sisters emigrated to Cleveland, Ohio, in 1874. Today the Sisters of Notre Dame carry on their mission and charism, serving in 18 countries on five continents. 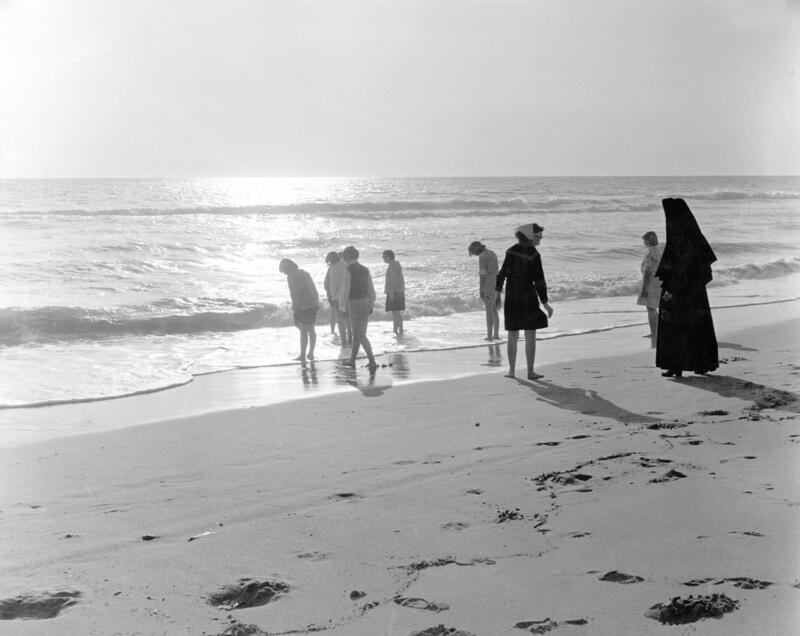 In 1924, Reverend Mother Mary Cecilia said to Sister Mary Bernard, “Go out to California and build a house of love,” and there we find the beginnings of our own NDA. Starting in 1949 in makeshift quarters of the elementary school library, through 1950 groundbreaking and a 1952 dedication, Notre Dame has become a nationally recognized and fully accredited college-preparatory high school. 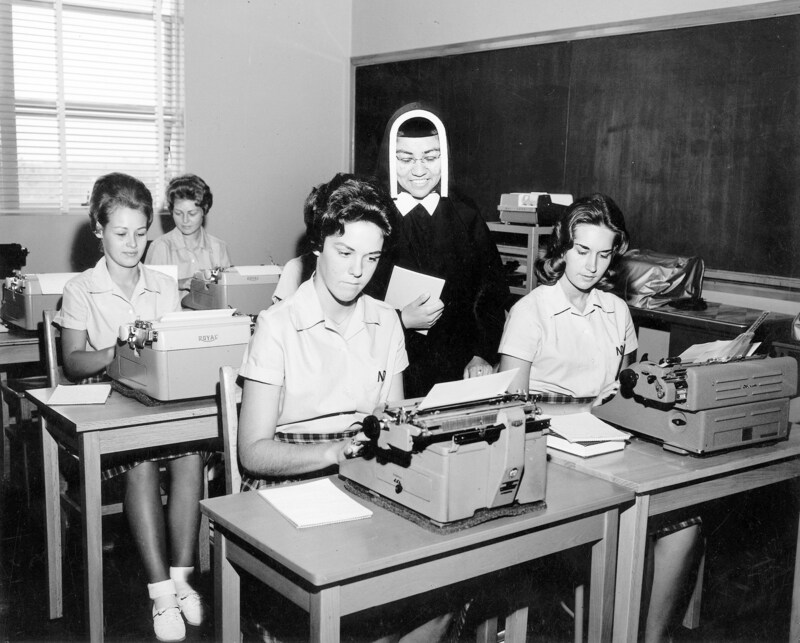 NDA’s mission is to educate young women to make a difference by living Gospel values. 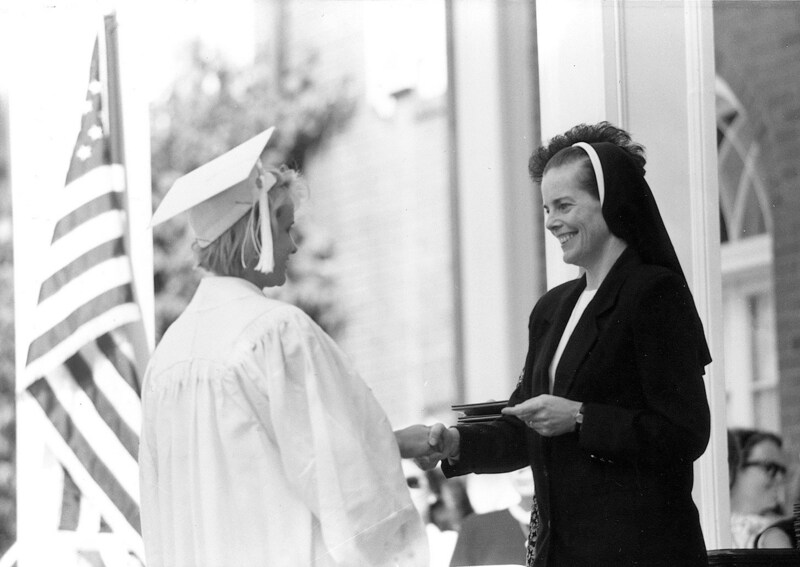 The history of the Sisters of Notre Dame shows that our graduates have a perfect example before them, in the history of our beloved Sisters. We are grateful to have the charism and love of the Sisters of Notre Dame guiding our way.